Last night I was at a gathering for young business leaders and people who want to make an impact on society. As we got to know each other over cheese fondue, we asked all the ‘normal’ small talk questions. The harmless inquiry on my biography that makes my insides curl up and my words tangle up in my mouth. As TCKs we are well acquainted with these awkward questions on where we’re from or what we call home. When we don’t have an easy answer straight away we’re often faced with blank stares or even more questions. So I crafted different versions of my story: the short version for superficial chats, the long version for someone who’s really interested. I tend to leave parts out which might only bore the others, I rather zoom in on the good parts, the stories that make you laugh or wonder. Don’t we all find ourselves in such places at times? Our life stories are supposed to look perfect. We brush them up with Instagram filters and hide the parts we’d rather not make public. We’re all about sharing – even if we actually just share parts of it. I sometimes wonder if we don’t miss out on a lot of great things by editing our life stories. We show ourselves, but only parts of us. What if we revealed something else? What if we gave someone the gift of the unedited, raw pieces of our lives? What if we unveiled the dark spots in our story – the doubts, the unanswered questions, the experiences that don’t make sense? What if we added a bit more color to the otherwise perfect picture? Our stories are the greatest gift we have. When we share from ourselves we invite someone else to get to know us, the real us. We actually get to know and love ourselves more by embracing our own stories, all of it. And we allow the Lord to reveal a bit more of himself in our broken narratives. This is beautiful, thank you so much for sharing! Katha, please forgive the delay in my visiting your site. I so enjoyed your post. It takes a lot of brave to be willing to share the “ugly” parts of our story. The raw, unedited, dialing parts of what’s made us who we are. I agree with Andrew. I wouldn’t share all of my story with just anyone. But, I find it easier to share the more intimate parts of my story with those who are safe-people, or those who God has prompted me to share with. Thanks for the reminder that the perfectly polished angles of my story do not convey the entire picture of who I am. 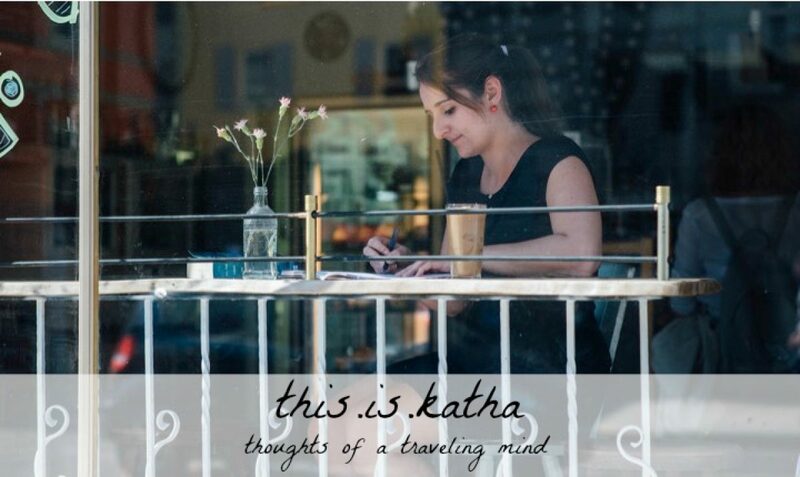 Loved this essay, Katha. Our stories are indeed the greatest gift…but we have to make sure that there is a common paradigm of understanding. There are stories I’ll never tell. Not that they aren’t worthy, but because it’s so hard to describe a place and time in which death was the common currency, and violence the lingua franca. Thank you for this addition, Andrew! It certainly is important that we don’t have to share everything about us. That Brene Brown quote is one of my faves! I’m in the 7 spot this week. “Our stories are the greatest gifts we have.” That is so the truth. So glad I stopped by today, #FMF friend. I have a long and convoluted story, too, Katha, and I have the crafted the same versions–casual, more in-depth, and the whole nine-yards. Most people just hear the casual story. You pose a good question, though. What would happen if I let the Spirit lead me each time I’m prompted to tell my story? That is definitely an interesting challenge! Thanks for stopping by, Anita!